Retainers are dental devices that are uniquely moulded to your mouth, helping to support your teeth and preventing them from shifting out of position. They are usually worn during the last stage of your orthodontic treatment to help maintain the hard work of your braces. A retainer can be either be a fixed wire bonded to the backs of the lower front teeth or it can be a removable plastic or metal device with a single wire in the front. Fixed or bonded retainers are commonly placed for 3-5 years but can be kept in place permanently, or until it comes off on its own. In regard to removable retainers, we offer Hawley retainers, which are the most common device and which stick to the roof of the mouth with a metal tray to hold the teeth in place, and clear Essix retainers. Whether your retainer is removable, and how long you need to wear it will depend on your unique situation. Some people will need to wear their retainer all the time, removing it only on occasion for eating or playing sports, while some will only need to wear their retainer at night. Our expert orthodontics will recommend a plan best suited to your needs. After your braces have been removed, teeth can easily shift back to their original position. This could be due to habits like your tongue pushing against your teeth to fill the gap that was once there due to your overbite, or from wisdom teeth coming through. Retainers help to prevent any of these unwanted movements. Generally you only have to wear your retainer overnight to maintain the position of straightened teeth, though our orthodontists will recommend a schedule for your unique situation. Either way, because they are removable, they have a minimal impact on your day to day life. As long as you remember to put them back in at the right times you will be able to maintain your new perfectly straight teeth. In other cases you may have a fixed retainer wire bonded to the back of the teeth and just at the front, so it cannot be seen. Once your mouth has adapted to the presence of the wire, you won’t have to worry about anything other than keeping it clean. When Should Retainers Be Worn? When your removable retainer should be worn and for how long depends on the type and the retention protocol set out by your orthodontist. Retainers are design to keep the teeth from backsliding into their former positions, and so the time frame will depend on the potential risk for movement. Some people must wear their retainers at all times for the first six months of treatment, while others may only have to wear them at night. If you need to wear them all the time, it’s generally still okay to remove them in short bursts for things like eating hard foods and playing sports. Your retainer is molded specifically to your mouth so should be comfortable enough to leave in at all times. It is important to set up a good habit so that you always remember to put them back in. This will ensure that you maintain the perfect alignment that your braces provided. What Retainers do to your teeth? Dental retainers are usually not used to make any changes to your teeth, instead they are worn simply as a maintenance device after your braces have been removed. They help keep your teeth in their proper place and stop any unwanted movements caused by things like growth in your jaw bone. For more minor orthodontic treatments, dental retainers can be used to correct the positioning of your teeth. They are tightened or replaced every few weeks, and so gradually bring your teeth into alignment. 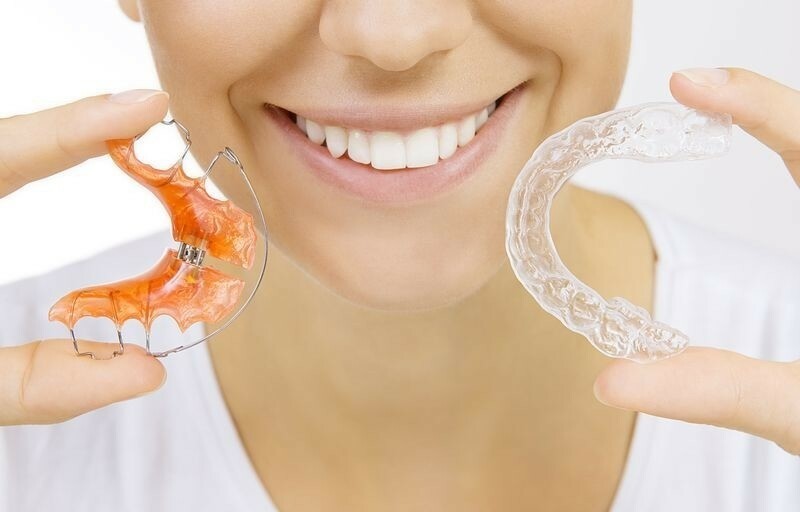 A popular option for this type of treatment is Invisalign clear retainers. The plastic Invisalign retainer gives you the freedom to remove it for eating and teeth cleaning, and has the added bonus of being virtually see through, so a highly discreet. If you want to find out more about how retainers can help correct your dental problems, talk the team at Dublin Orthodontists today.